Universal Studios Hollywood: Courthouse Square, Stage 29, Stage 30 [courthouse interior], Stage 32. The courthouse interior built on Stage 30 was a painstakingly accurate reproduction of the courthouse at Monroeville, Alabama. Universal Studios Hollywood: The whole street featured in the movie was built on the backlot, adjacent to the New York Street sets. 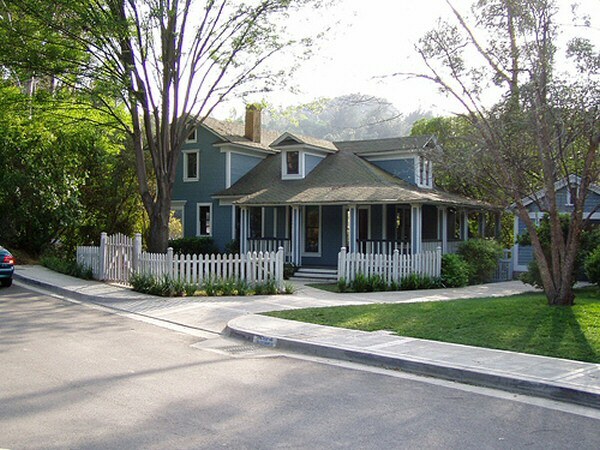 The Boo Radley house was designed by Henry Bumstead and built at Universal, while all other houses were moved to the backlot from Chaves Ravine, where developers were clearing the land for the Dodgers Stadium. The houses were bought for $1 each from developers. The Boo Radley house remains on Elm Street to this day. Beautifully-made version of Harper Lee's classic novel - one of the greatest Universal movies ever made. 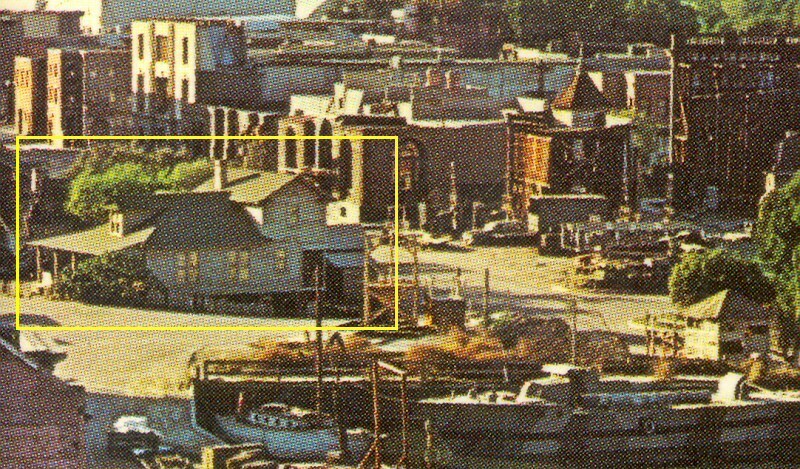 Locations: The exteriors were all shot on the Universal backlot. 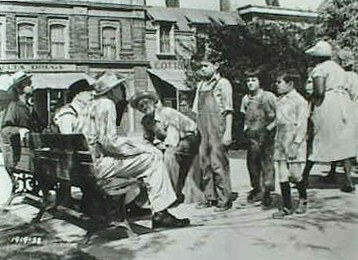 The residential streets where Atticus and his family live was a set built near New York Street especially for the movie. The structures were real houses which were bought by Universal in 1961 from the developers of the Dodgers Stadium (opened in 1962) which was under construction in Chaves Ravine. The buildings were sold to Universal for $1 each and legendary art director Henry Bumstead arranged them into the evocative streets, positioned between what is now the 747 stage and the King Kong attraction, just south of Courthouse Square. Today, only one house remains - the Boo Radley house has had minor alterations over the years, but can now be seen on Elm Street. Although it's not a regular part of the tram tour, VIP tours may be able to get access to Elm Street depending on the amount of production work in the area. 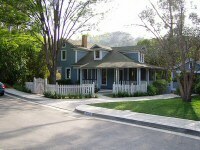 The house has been recently repainted and remodelled for CBS's Ghost Whisperer. Also featuring heavily is Courthouse Square - more recently known for Back to the Future and Ghost Whisperer, the area was known as Mockingbird Square when the Universal tour first started in 1964. Props & Costumes: Around 2005, an unlabelled box was discovered in a storeroom. On opening, it was found to contain Gregory Peck's costume from this movie. The costume was originally displayed for a while in the museum on the Upper Lot, but was put into storage when the museum was closed. It can now sometimes be seen in The Universal Experience on the Lower Lot. Additional research by William French and Dennis Dickens, with thanks. 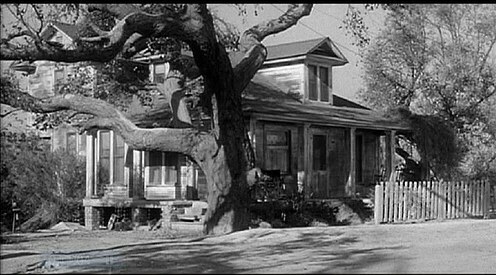 1 - The Boo Radley house, as seen in To Kill A Mockingbird.